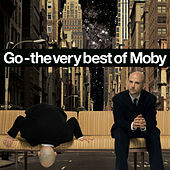 A Moby "best of" is a tricky beast. Comfortable both as a club god or thrash metal rocker, he's tough to group into one collection. Furthermore, the extreme overexposure of Play means that many of these selections need never be heard again. That said, Moby has made some all-time classics, especially "Go" and "South Side." If you're one of the eight people left on the planet yet to hear Play, then this will be a revelation; others will appreciate the new re-mixes of familiar work.